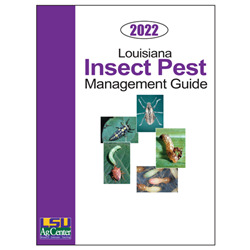 This 2019 guide includes regulations, precautions and suggestions for pest control in Louisiana. Detailed topics include drift of pesticides, hazards of pesticides to beneficial insects and wildlife, phytotoxicity and using beneficial insects to control pest populations. A section on organic gardening also is included. View a pdf of the guide here.